When choosing your rattan conservatory furniture you may be inclined to shop for old fashioned cane / wicker, but this would be a mistake, because the new synthetic style of rattan conservatory furniture available on Gardencentreshopping.co.uk is far superior in quality and durability. 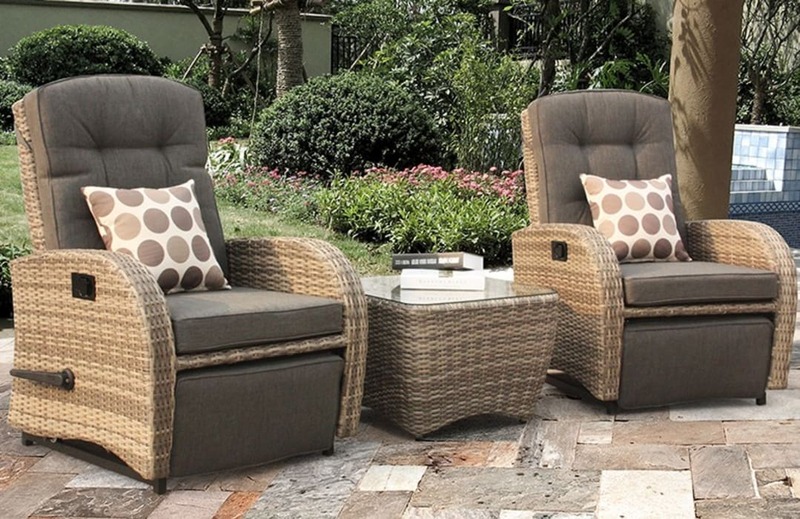 By choosing from these weatherproof rattan sets you can use your conservatory furniture both inside and outside! This makes them much better value for money than the suite alternative, and with cushions included in bistro sets, dining sets and sofa sets, you've got no excuse! There is also a lovely range of reclining and rocking arm chairs with footstools and footrests for you to browse.